We get asked at each consultation about the lighting color, and if the client doesn’t ask, we sure do. Some people prefer the all warm white look, others really enjoy adding different festive colors. 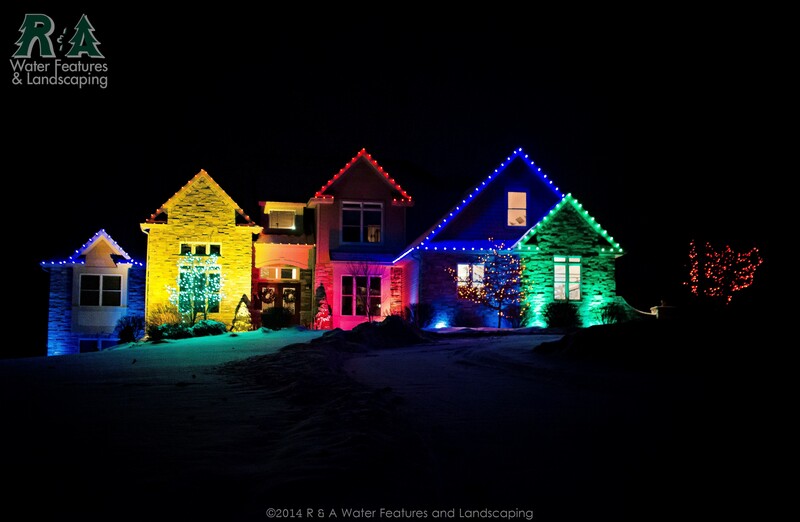 Here are some examples of the best colors for Christmas lights. Warm white has been the most popular color we have seen clients choose. 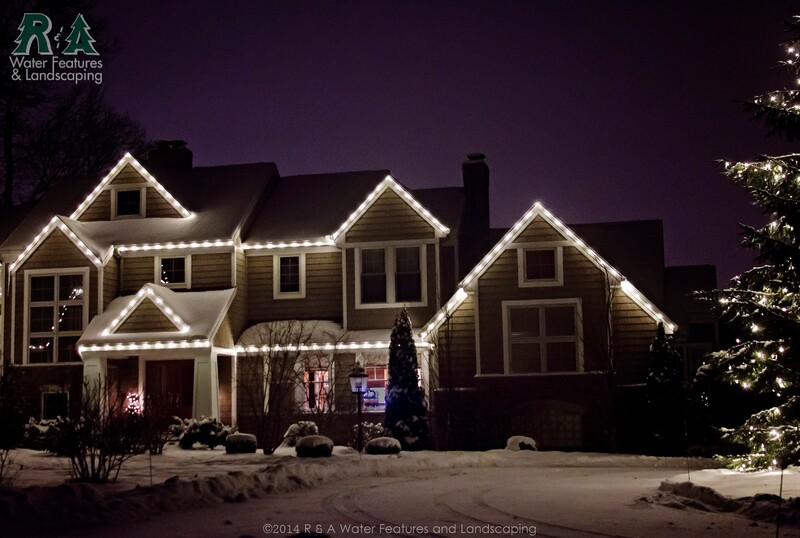 When warm white Christmas lights are used to line the roof, it creates a simple, elegant, clean look. Not to say that colored lights don’t however, but we will get to that. Many clients just prefer the simplistic effect of warm white contrasting against the home, or within the canopy or trunk of a tree. There are sooo many ways to incorporate color into your Christmas lights, the possibilities are nearly endless. We love playing with color when it comes to this time of year! The most popular of the Christmas colors are the obvious red and green. However, we also have blue and orange that have recently gained in popularity. All the colors we offer are available in C9, C7, and Minis. The picture above shows how each individual roof line or gable could be highlighted by one color, and also highlighting that specific section with a wash of the same color by ground lighting. Below shows how only two colors can be combined by alternating the lights on the roof lines and the ground lighting, which creates a very festive, Christmasey feel. Makes you feel like there could be a plate of warm cookies waiting for you inside the home..nom nom nom! Also notice the tree that also includes the same two colors, red and green, as well as the wreaths. This is one of our favorite homes to photograph. Whether you prefer the all warm white look, or like the feel of adding some color, the decision is ultimately up to you and what would suit you best. Also, if you have colored lights one season, the next season we can change them over to warm white lights, or vice versa…no one says you can’t, or shouldn’t, change up your Christmas lights!